Enjoy this deliciously creamy soup on a cold day or anytime you're looking for a filling, tasty meal! 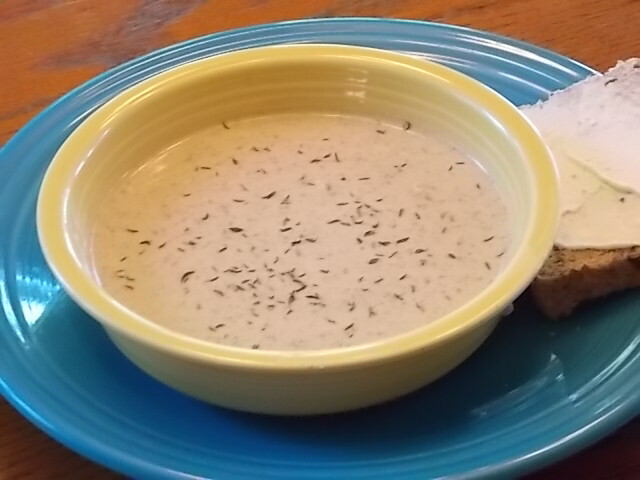 Melt butter in a large soup pot over medium-high heat, add mushrooms and onions, and cook until tender, 10-15 minutes, stirring frequently. Set aside a few mushroom pieces for garnish, if desired. Stir in vegetable broth, thyme and salt and pepper. 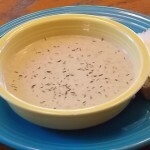 Transfer soup in batches to a food processor or blender, and puree until soup is smooth. Return soup to pot, and stir in cream. Whisk in LC-Thick n’Saucy and heat through.